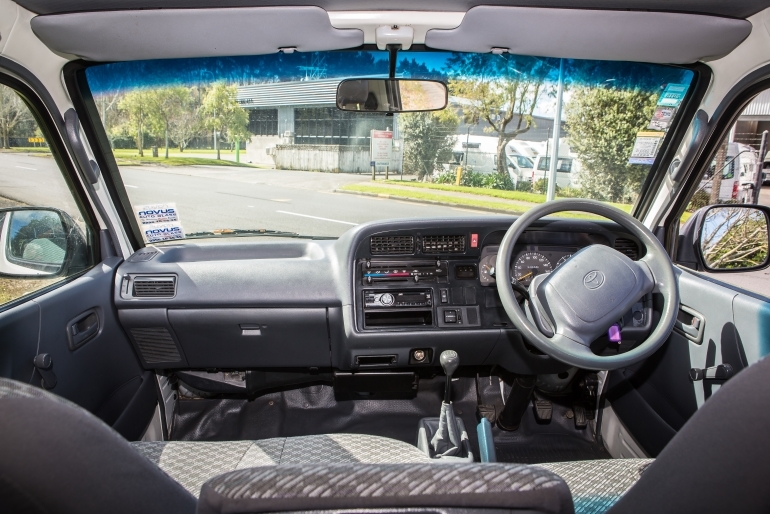 The Original 3 berth camper is a 1999 Model Toyota Hiace. 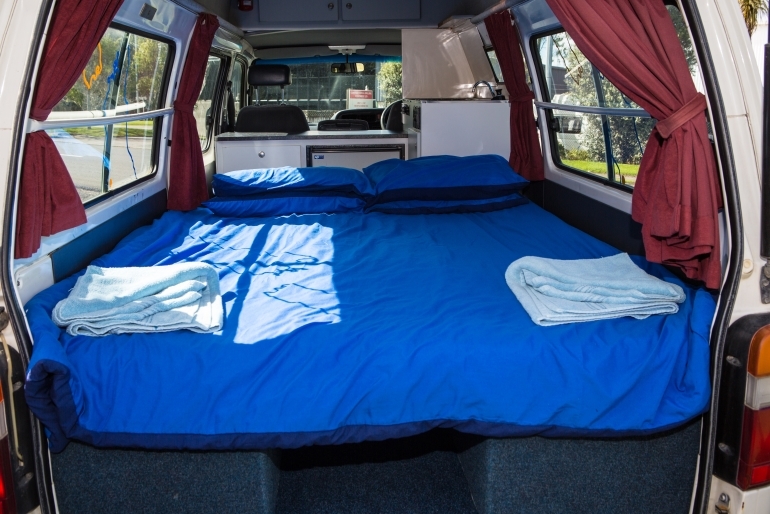 It includes everything you need for sleeping in comfort and cooking a meal, without compromising the care-free Happy Campers way of life. 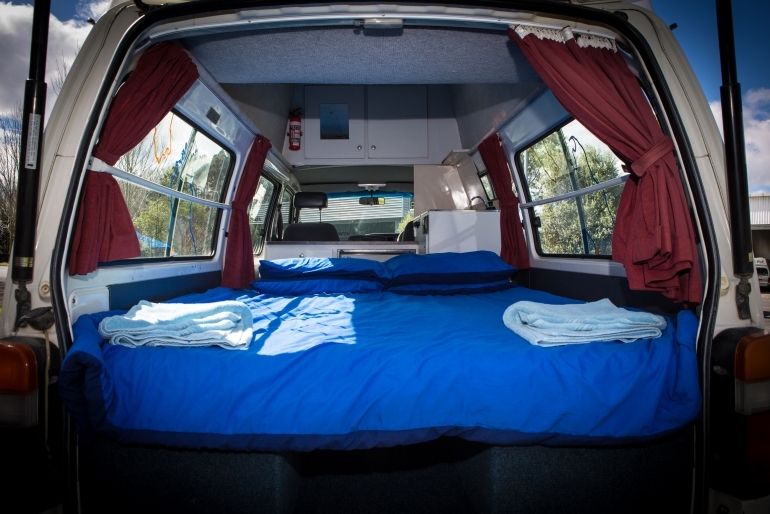 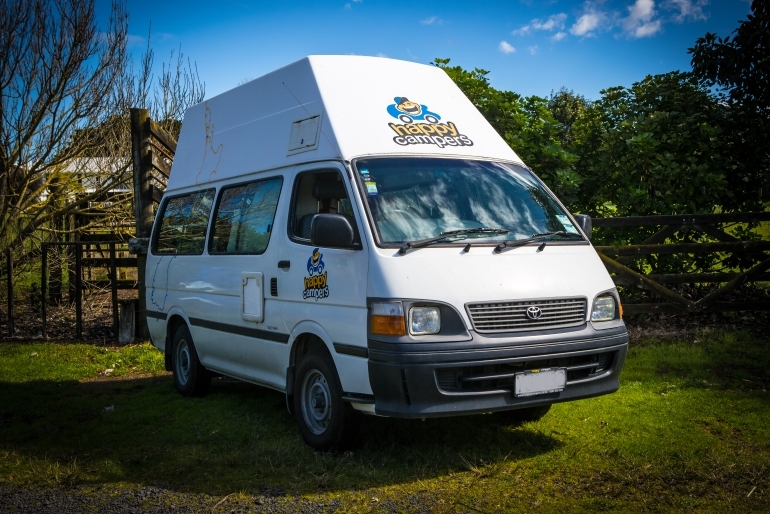 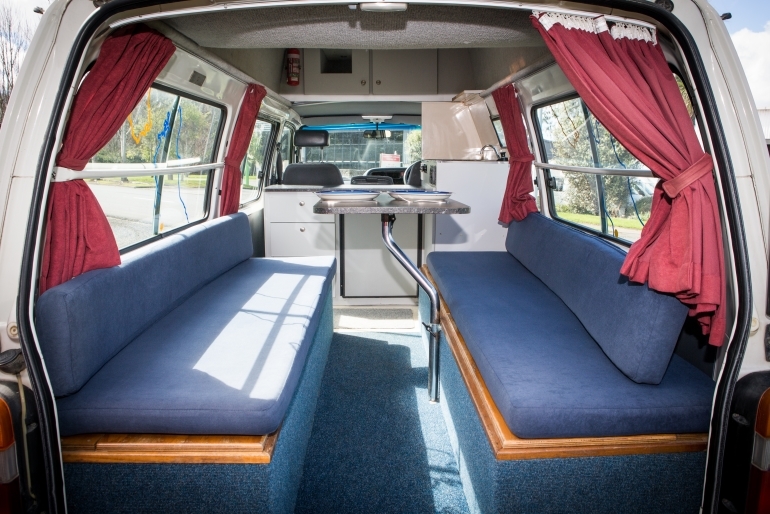 With a CD player, double bed, large single bed located in the roof and seating for three in the front cab, this vehicle is the perfect partner for your New Zealand travels. 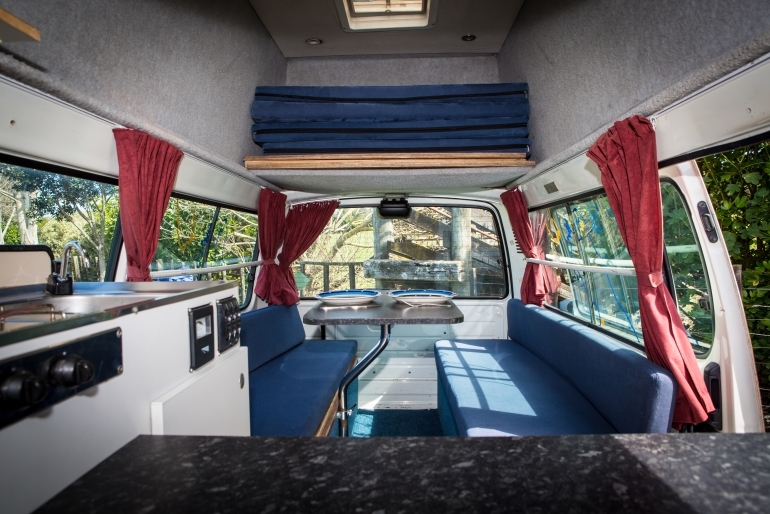 This vehicle comes complete with a fridge, two-burner gas-cooker, cold running water, ample cupboard and shelf space plus complete kitchen equipment and linen, to let you take control of your own adventure.